The hands-free magnifier ideal for all types of small project work where you need to keep your hands free. With an adjustable neck strap and cushioned rubber feet the Hands-Free Magnifier sits comfortably in front of you giving you excellent visibility while you work. 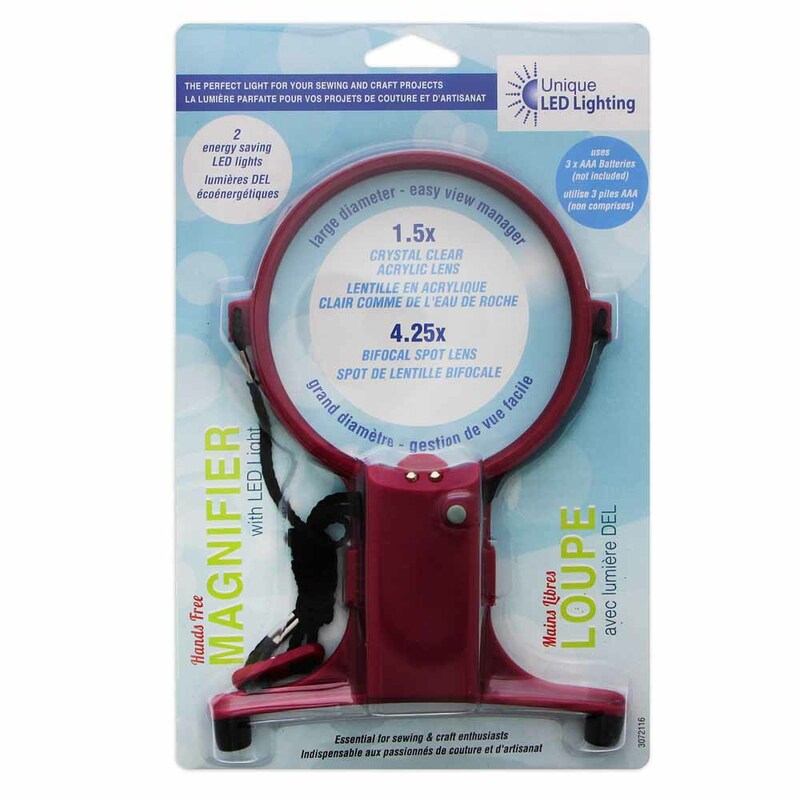 Hands-Free Magnifier magnifies up to 4.25x making it so much easier to see those finer points and with just the flick of a switch, the battery operated LED light illuminates your project as you work. Lightweight design to minimize strain. Neck cord and rest feet for hands free operation. Ideal for delicate hand embroidery and needlework. 1.5x crystal clear acrylic lens and 4.25x bifocal spot lens.